“[Sara and Kenny] were able to bond over their mutual admiration for each other's jazz and classical guitar skills. 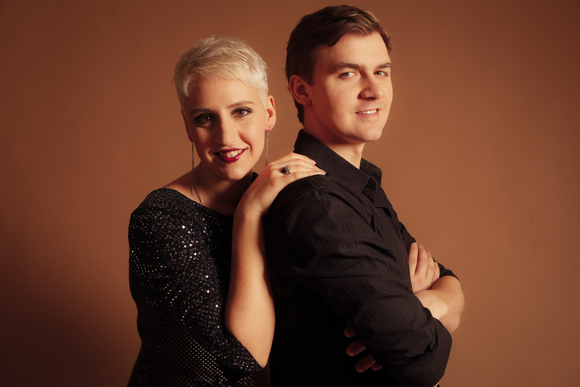 The duo’s debut album, “Spirit of Gold” was released in October 2015, to rave reviews and a sold out show at the historic Villa Terrace Decorative Arts Museum in Milwaukee. Piet Levy of the Milwaukee Journal Sentinel said, “It’s striking how simpatico Sara and Kenny sound…especially considering their backgrounds couldn’t be more different. From Reichert's bright, flighty guitar work on "Four Minutes" to d'Ippolito's rich vocals during a romantic cover of Luigi Tenco's "Ti Ricorderai," "Spirit of Gold" will leave you smitten.” The songs are simple and yet sophisticated, melodic and elegant all at once.